Recent experiments in the conversion of the sun’s rays into electric power have led to an unusual idea in aerial equipment. 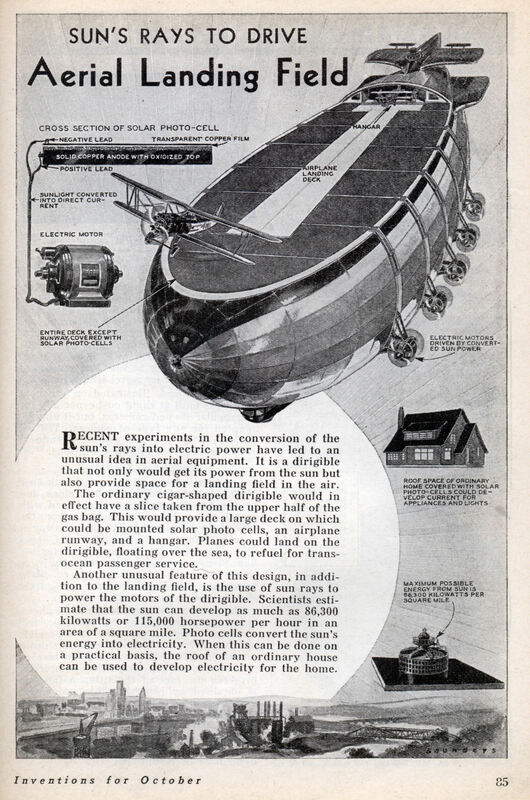 It is a dirigible that not only would get its power from the sun but also provide space for a landing field in the air. The ordinary cigar-shaped dirigible would in effect have a slice taken from the upper half of the gas bag. This would provide a large deck on which could be mounted solar photo cells, an airplane runway, and a hangar. 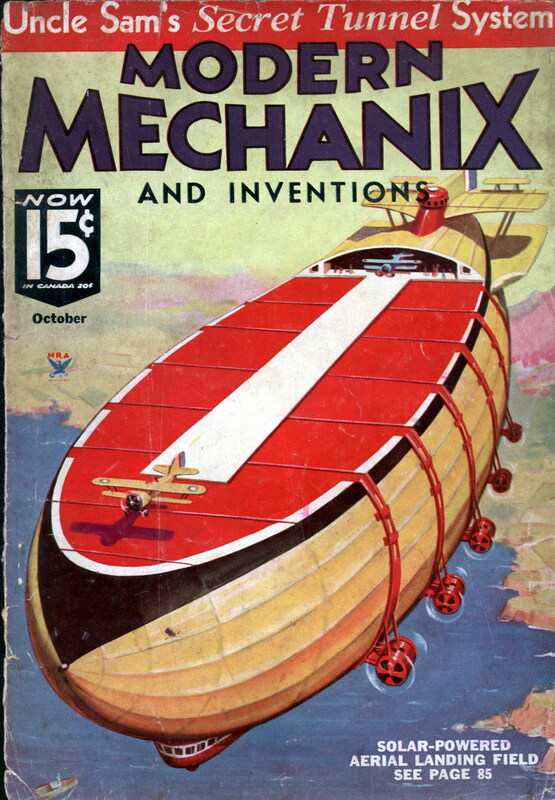 Planes could land on the dirigible, floating over the sea, to refuel for trans-ocean passenger service. Another unusual feature of this design, in addition to the landing field, is the use of sun rays to power the motors of the dirigible. Scientists estimate that the sun can develop as much as 86,300 kilowatts or 115,000 horsepower per hour in an area of a square mile. Photo cells convert the sun’s energy into electricity. When this can be done on a practical basis, the roof of an ordinary house can be used to develop electricity for the home.